A car has overturned after leaving the carriageway on Nene Parkway in Peterborough this afternoon, Friday September 16. 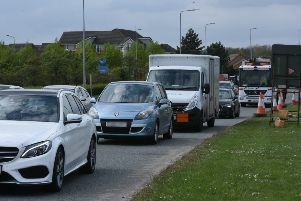 The road was shut on the southbound carriageway towards the Hampton roundabout and Fletton Parkway. The incident took place shortly after 4pm near the Woodston turning. A car has completely left the road and overturned. It is the only vehicle involved. Emergency services attended the scene and motorists were advised to avoid the area. Details of injuries to those involved are not clear at this time. More as we have it here.